Step into the most thrilling world of showbiz and how it all began in the most anticipated musical “The Greatest Showman” overflowing with a talented cast that includes Hugh Jackman, Zac Efron, Michelle Williams, Zendaya, Rebecca Ferguson and Keala Settle. Directed by Michael Gracey, who makes his directorial film debut in “The Greatest Showman”, the larger-than-life musical movie also features original songs from Academy Award winners Benj Pasek and Justin Paul (who composed songs from the highly-acclaimed “La La Land”). “The Greatest Showman”, inspired by the legend and ambitions of America’s original pop-culture impresario, P.T. 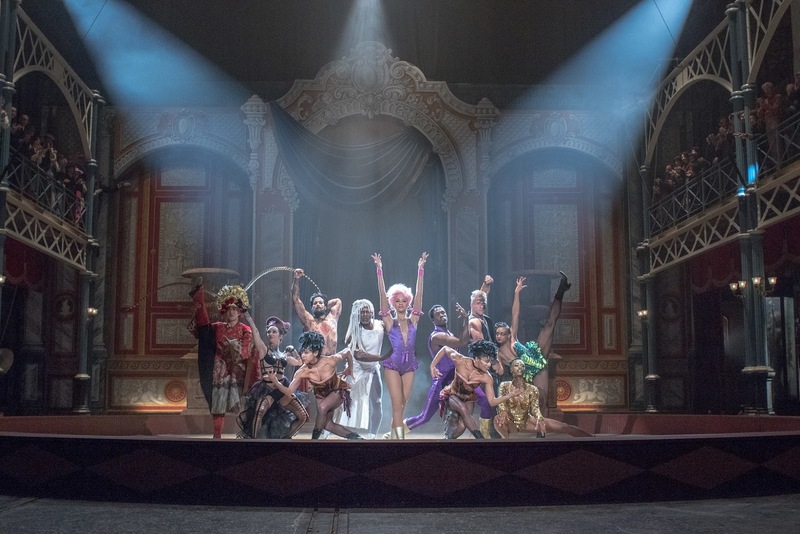 Barnum, is an inspirational rags-to-riches tale of a brash dreamer who rose from nothing to prove that anything you can envision is possible and that everyone, no matter how invisible, has a stupendous story worthy of a world-class spectacle. Australian filmmaker Gracey bring to life a story that, in the larger-than-life spirit of Barnum that bursts into a boldly imagined fictional realm, one full of infectious pop tunes, glam dances and a celebration of the transformative power of showmanship, love and self-belief as Academy Award® nominee Hugh Jackman immerses audiences in the very origins of mass entertainment and mega-celebrities in the 70s … the 1870s that is. The Greatest Showman also touches on another idea of these times: that of chosen families built around allowing people to express who they are without reservation. “Barnum pulled people together who the world might otherwise have ignored. And by bringing each of these people into the light he created a family who were always going to be there for each other,” concludes Gracey. “The Greatest Showman” will open January 31 in cinemas nationwide from 20th Century Fox to be distributed by Warner Bros.